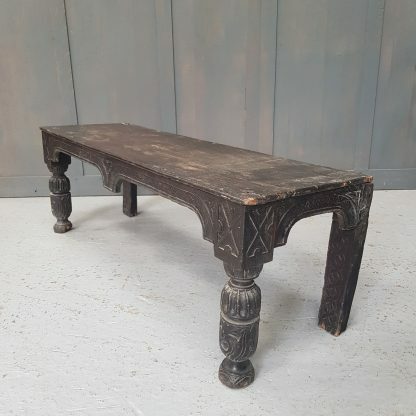 1600 – 1620 Old Oak English Bench, pre-civil war. Plenty of splits, marks and some repairs and replacements. However, perfectly usable and, after four hundred years, can only get better now. Gadroons on front baluster legs and guilloche designs elsewhere. Please Note: For large items like this 1600’s Antique English Old Oak Bench delivery can take up to 2 weeks for most parts of mainland UK.